Shipping Dimensions: 24" x 21" x 8"
Everyone loves a good barbecue! 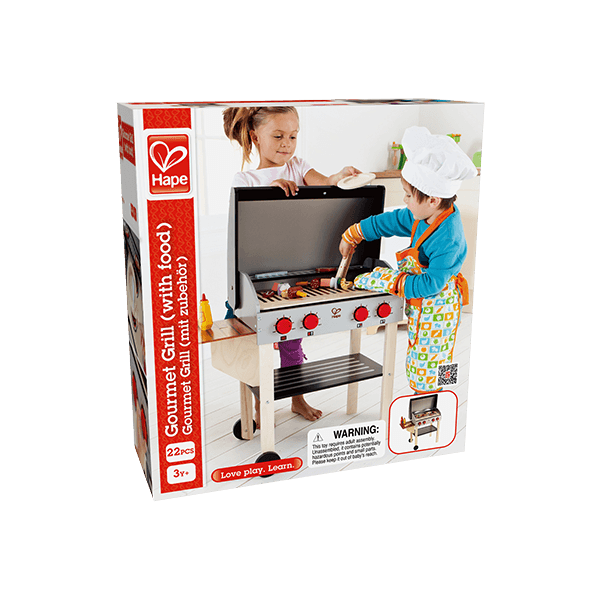 With the Playfully Delicious Gourmet BBQ Grill Set from Hape, children can host their own barbecue with tasty food and tons of fun. This innovatively designed play set features a hooded BBQ grill with electric burners, a collapsible side table, and double sided grates that slide out to reveal hot coals. Also included is the Shish Kabob Play Food Set with two skewes and slices of meat and vegetables, to help little chefs get started with their grilling. Bought this for my grandson. He loves it! 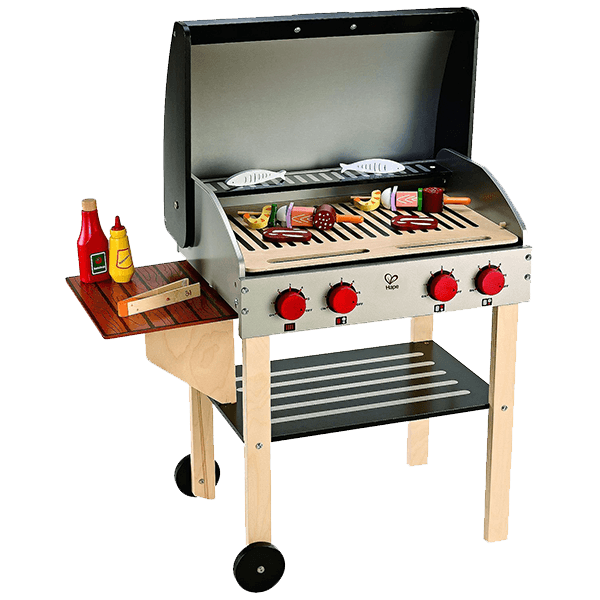 If You Liked Hape Gourmet BBQ Grill with Food, See More Related Products Below!